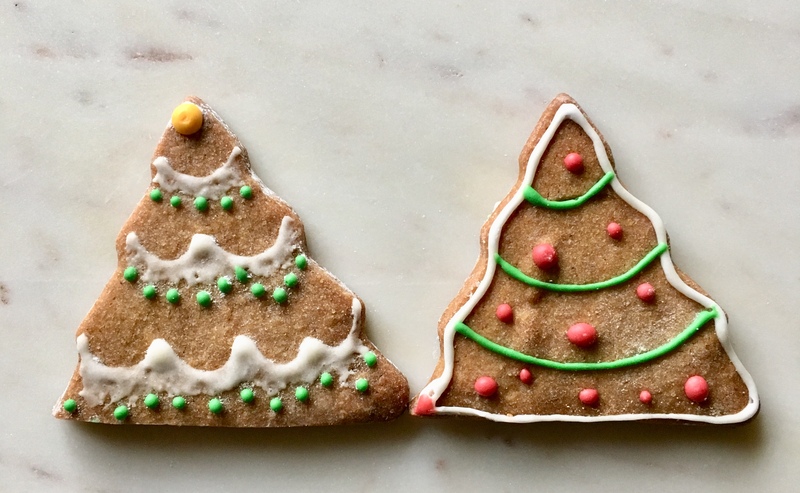 Need a quick and easy cookie to bake for that last minute holiday get together? Look no further for how to make easy shortbread. It’s a crowd pleaser and easy on the eyes. Also there are three different variations I like to mix it up and give ‘er the old razzle dazzle. Start with the base dough and you can get creative from there. You can also play with extracts and toppings to show your personality! Yes, make the dough! It’s as easy as 1, 2, 3. Cream the butter & sugar and then add in the flour. At this point let’s get our hands dirty. For real. It’s best to do this part by hand and knead the dough slightly. If it’s quite crumbly add a bit of butter until it just holds together. Chill the dough; I usually say until I’m done being patient and then roll it out and the real fun begins. The first decoration (and the easiest, I might add!) is to use a cookie stamp decorating tool. Cut out the desired shape and press the stamp into the dough to reveal a gorgeous design. Then sprinkle with sugar and bake! Number two! The second option is for our chocolate lovers. For this variation you simply roll out the dough and cut a simple shape. I like to keep the shape simple for this so the outside decorations can really have their moment. Bake off, and while the cookies are cooling melt some dark chocolate and smash up a candy cane. Then dunk half of the shortbread in the melted chocolate and sprinkle with peppermint pieces. It’s best to set these to cool on parchment unless you like shortbread glued to your countertop. No judgement here. Aaaand number three. 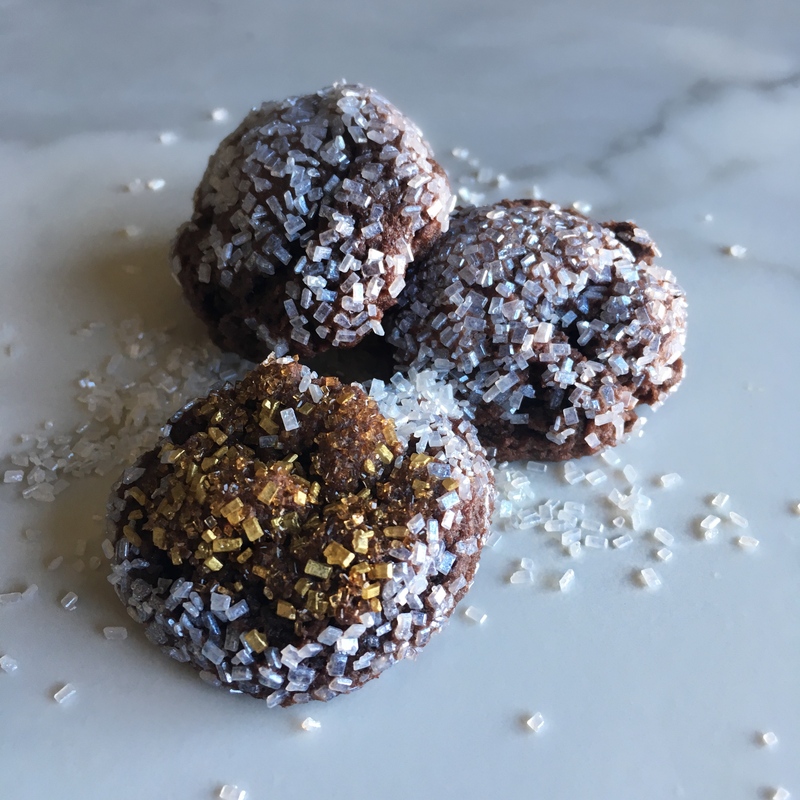 For the third variation we circle back to the holiday classic with MORE sugar. Grab your royal icing and get busy. Surprisingly adding royal icing to the shortbread really tops off the flavor and is a lot of fun. Of course buttercream would work as well if that is your icing of choice. Here you can mix & match the cookie colors of your dreams! I went with a fun twist of the Christmas tree and make it neon and top a few with sprinkles. Cause why not?! Cream butter & sugar until just combined. Mix in vanilla. Stir in the flour 1 cup at a time. At this point its best to use your hands to finish incorporating the flour. Once combined, move the dough to countertop and lightly knead. Wrap in parchment paper and chill the dough. Roll out keeping the dough about 1/2 thick on floured surface. Use cookie cutters or cut your desired shape. Place cookies on a parchment lined cookie sheet. You don’t need to worry much how far apart to place these. Since there is no rising agent, these will not spread very much. 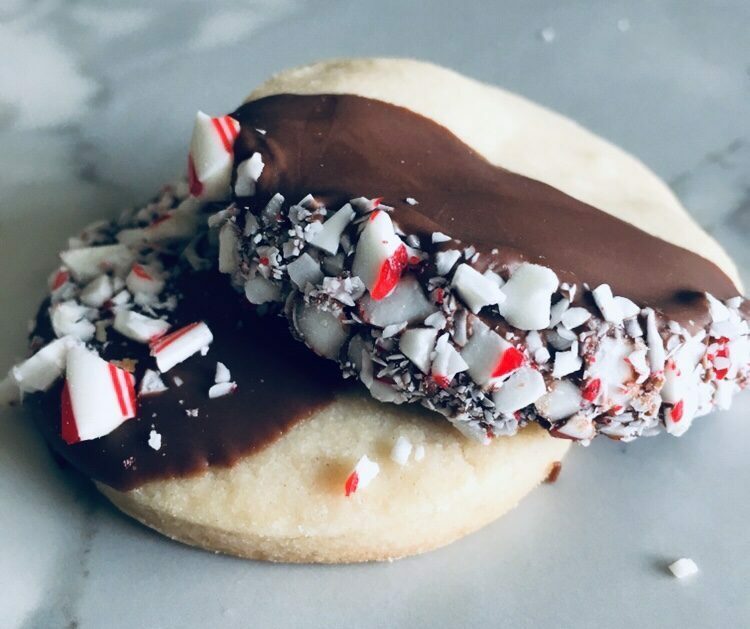 Let cool, add icing, sprinkles, or chocolate and peppermint crumbles to create your favorite variation. Enjoy the best shortbread for the holidays! Did you make any of these variations? Tag me on IG and FB!